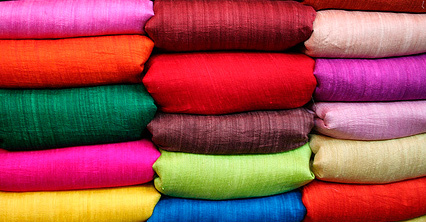 Colour Connections is a consultancy dedicated to improving textile products, the processes used to make them, the technical knowledge of individuals and the effectiveness of communication with suppliers and customers. Whatever the textile product, whatever the source, it is inevitable that many delivery and brand image problems are the result of an incomplete understanding of the complexities of coloration and chemicals. Regardless of your position in the textile or retail industry, Colour Connections will provide clear, expert advice, solve problems, implement best practices and improve the clarity of communication between you, your customers and suppliers. We’ll improve the way you run your own business, how you specify the goods and services you buy in and how you sell the benefits of your products and services to your customers. and a detailed knowledge of each and every part of the textile supply chain we will ensure that your business is improved technically, environmentally and financially. Our major strength is our ability to fully comprehend the complexities of science and industry, and then present solutions and advice at a level that is appropriate for each individual client.